We are blessed to have a large number of charitable groups and individuals willing to step up and lend a helping hand. Some of them do small things that seemingly don’t amount to much, things that end up being very important to parents and their babies. We have recently been made aware of two examples. The first example comes from the Royal Devon and Exeter Hospital in Exmouth. Premature babies born at the hospital now receive knitted caps compliments of an 88-year old widower who has found a way to contribute after losing his wife. John Williams was so used to spending every day at the hospital during his wife’s four-year stay that he found himself with plenty of time and nothing to do when she finally passed. That all changed when he paid a visit to the hospital to see his daughter. It was during that visit that John knitted 14 caps for the hospital’s premature residents. He hasn’t stopped making them since. In fact, John has even gone so far as to invest in a small loom that keeps him busy day after day. Despite poor eyesight that forces him to restrict his knitting to the daylight hours, John continues to churn out one knitted cap after another. Most have been donated to Royal Devon and Exeter Hospital, though some have made their way to the Queen Elizabeth Hospital in Birmingham. A knitted cap may not seem like much to you and me, but it can mean the world to the parents of a premature baby. Just knowing that someone took the time to hand knit the cap is a great source of comfort among parents who instantly come to realise that there are strangers in the world who actually care about them. The second example of people stepping up to help is that of a father whose own son was born premature at 26 weeks. Ross Branigan is now planning to raise money for the Bliss charity by travelling to Surrey in July and taking part in the Prudential Ride London 100-mile event. Branigan will be participating in the annual event on behalf of son Harry, wife Georgina, daughter Mollie, and the Bliss charity. Branigan has already raised more than £500 for the charity ride. He is hoping to land dozens more sponsors willing to boost that number significantly. All the money raised goes to charity, thereby helping premature babies and their parents. Ross Branigan wouldn’t have it any other way. 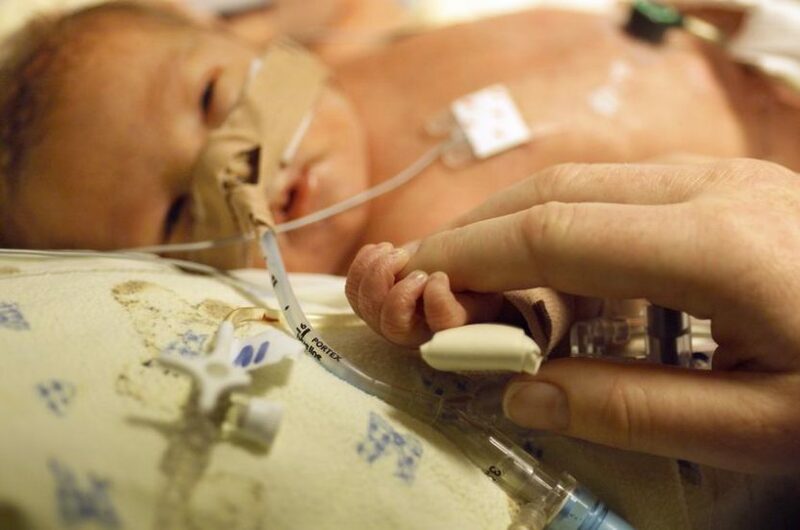 His family was directly helped by Bliss throughout their son’s stay in the NICU. Bliss is a charity that champions the rights of premature babies and their parents in order to guarantee that every baby receives the best possible care. They also lobby on behalf of parents and provide a voice for ongoing research. Across the UK there are parents working through the difficulties of caring for premature babies. Thankfully there are charities and individuals at the ready to provide much-needed help and support. Without their generous contributions, a lot of lives in the UK would be drastically different – and not necessarily for the better.